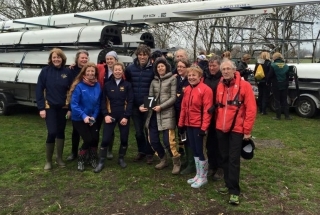 It was a successful weekend for the DARC crews taking part on the Tideway in the first two Head of the River races of the season. 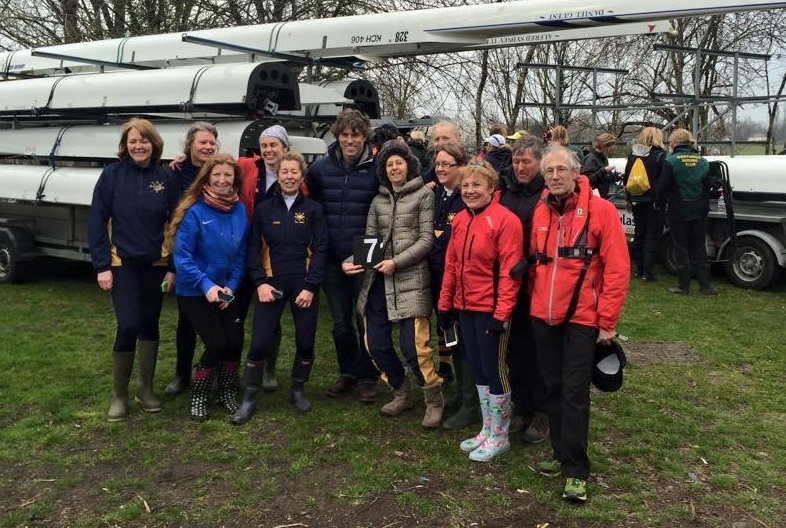 First of all two women’s teams took part in the Women’s Eights Head of the River Race (WEHoRR) on Saturday March 14th, the 75th year that the event has been staged. The Intermediate 3 eight of Alison Danforth, Lara Green, Louise Peterken, Emma Lyons, Becky Ward, Heather Tosley, Lucy Ringer, Megan McCarthy and cox Emily West, coached by Chris and Phill Tully, finished 110th out of 300 entries, which included the GB national eight, completing the 6.8km course from Chiswick to Putney Pier in 22mins 54sec. Finishing 5th out of the 32 IM3 entries in what was the crew’s first ever race as an 8+ was an excellent result, given also that conditions had deteriorated considerably by the time they started in 140th position, and the fact that two of the crew had only graduated from the Learn to Row course the previous summer, a great advert for the scheme. The Masters D crew of Angela Lund, June Davison, Gabrielle Moore, Clare Woodward, Helen Adair, Susan Jackson, Jacki Patrickson and Heather Hirst, coached by Andy Jaggard and John Lund and coxed by Nigel van Zwanenberg, were 154th in 23mins 20sec, coming 2nd out of 4 entries in their category, a great achievement for their first outing over the course. For the first time this year’s race was followed immediately by a presentation on Putney Embankment to the winners in each category by the Chairman of British Rowing Annamarie Phelps. For the second year in succession the overall winners were the GB composite crew including Katherine Grainger, Heather Stanning, Helen Glover and Jess Eddie. 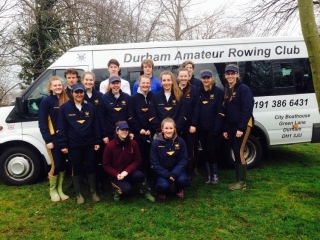 Mark then returned the minibus to Durham to enable members of the Juniors Squad to travel back to London on Sunday to compete in Mondays Schools Head, an event with 350 entries. The boys J18 4+ crew of Jacob Lutz-Nattrass, James Snowball, Jamie Patterson, Matthew Abbiss and cox Elise Sanderson continued their head of the river form by finishing 2nd in 20mins 25sec, a tremendous achievement against national competition. The winners were Westminster School, a mere 9 seconds ahead. 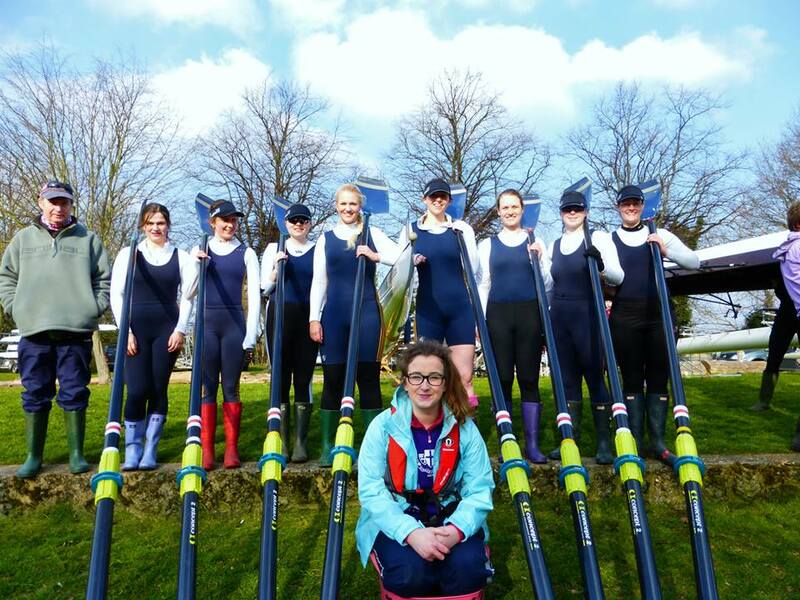 The Girls J17 8+, rowing in Women’s Championship 8s, also finished well in 11th position out of 26 entries, mainly J18 crews, in 21min 31sec. The crew of Corinne Hatton, Hannah Iqbal, Laura Phillips, Alex McMullen, Sarah Coleman, Charlotte Jackson, Georgia McMillan, Ellen Blowey, and cox Julia Dominy was the highest placed crew from the North, most of the crews in front representing private schools from the Thames Valley. Both crews were a credit to our club. This entry was posted in Racing News on March 18, 2015 by Colin Lawson.